Here’s a fun side that is sure to please at dinner time. 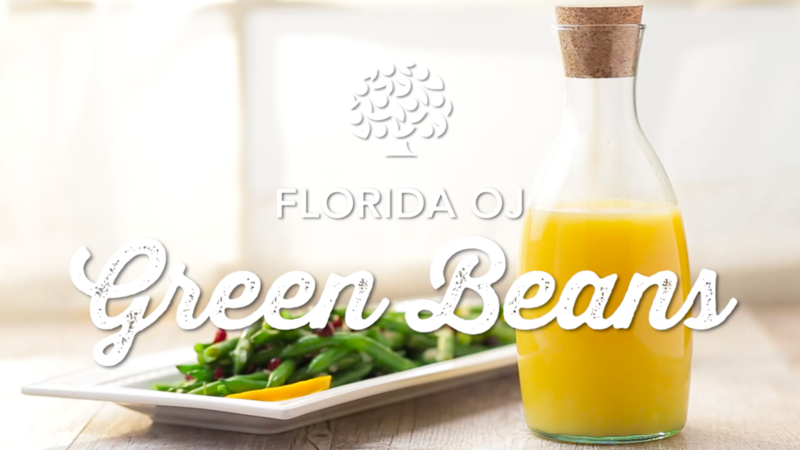 Put a twist on your green beans by adding Florida Orange Juice and dried cranberries. 1. Melt butter in 12-inch non-stick pan over medium heat and add onion, stirring frequently until tender and translucent. 2. Stir in Florida Orange Juice and dried cranberries and simmer for one minute. 3. Add green beans and combine until fully coated with Florida Orange Juice sauce. 4. Remove from heat and serve. Garnish with Florida Orange slices, if desired.